Rosacea is a skin condition that is characterized by redness and inflammation of the facial skin. It often starts with just a slight flush of the cheeks but may soon progress to other areas of the face, such as the forehead and chin. It can also affect the chest and back. There are different subtypes of Rosacea and the classifications vary based on the combination of symptoms. These include flushing, redness, swelling, visible blood vessels and irritated eyes. Some people with Rosacea also have bumps and pimples. As Rosacea develops, small dilated blood vessels known as Telangiectasia, begin to appear on the skin. These areas of redness are often painful. At this stage, Intense Pulse Light (IPL) treatment is often suggested, as it can destroy the blood vessels that gives rise to the redness. 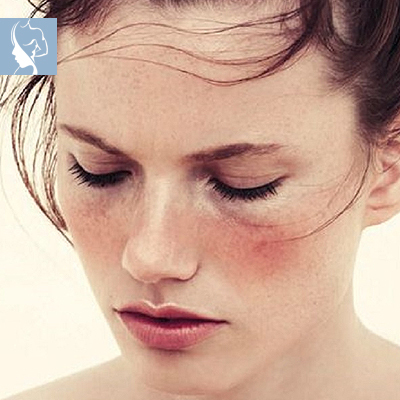 Rosacea flare-ups can be very distressing for some people, often leaving them with feelings of low self-esteem. Medical researchers are still unsure about the cause of Rosacea, but genetic factors are thought to play a role. In addition, there are other triggers such as excess sunlight, stress and extreme weather. Rosacea redness is most often caused by abnormalities in facial blood vessels. Certain foods such as dairy and chocolate, are also thought to trigger the condition.